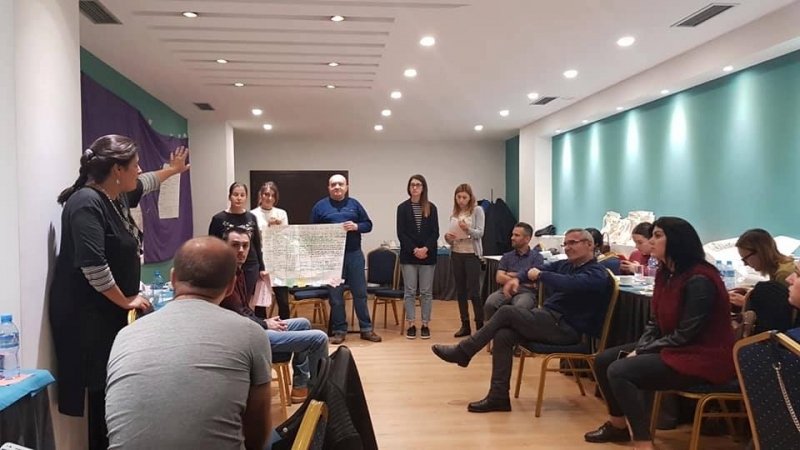 From 21st to 23rd November 2018 in Tirana, Albania, a training was held on the topic “Advocacy and lobbying”, attended by two representatives of “Journalists for Human Rights”. The training gave very useful, quality information and highly professionally organized by the “Eden” Center, and by a professional marketing agent-trainer. At the training itself, which was attended by representatives of ten Macedonian organizations, led by Ekosvest, as well as civil society organizations from Albania, they studied the skills of advocacy and lobbying for civic projects, and particularly interesting ideas were shared by our representatives, as well as other participants. The training was part of the EU funded project GEAR – Green Economy for Advanced Region implemented by FORS from Montenegro, SMART Kolektiv from Serbia, Centre for support and development from B&H, EKO Svest from Macedonia and Association Slap from Croatia.